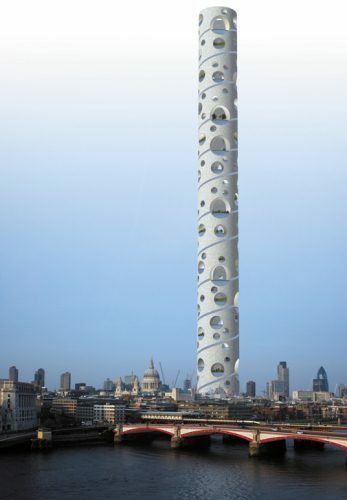 Is This London's Most Ridiculous Skyscraper? Dean Nicholas Is This London's Most Ridiculous Skyscraper? Smooth impact at ground level. 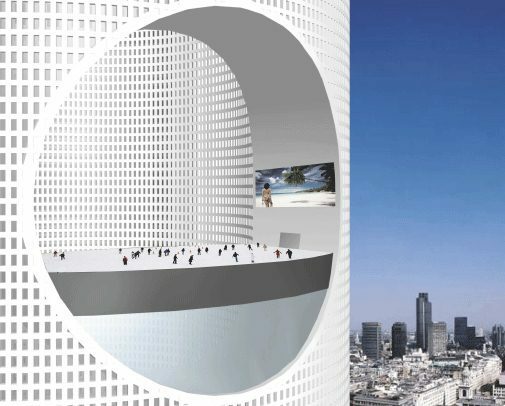 We were bemused yesterday to see the plan for a rotating tower, a pipe dream that will surely never see as much as a spade dug in anger. Yet it's not the most ridiculous skyscraper ever planned for the city. That honour goes to the mile-high eco tower pictured above. That's putting it mildly. We can almost hear the heart palpitations from English Heritage and Clarence House as traditionalists consider the damage done to sight-lines. The plan was, obviously, never a serious one. 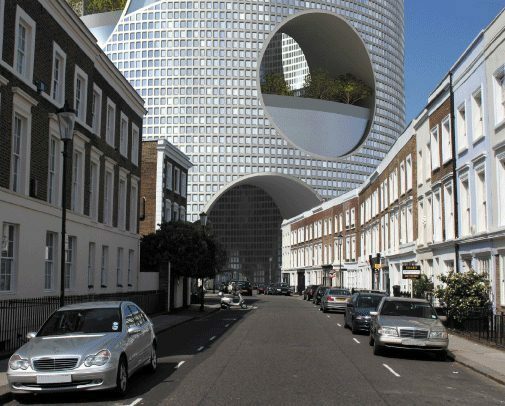 In fact we considered it for our Unbuilt London piece on skyscrapers, and rejected it because of its utter silliness. Let us know if you've seen anything more ridiculous.